Gingivitis: Do your gums bleed while brushing or flossing? If your gums bleed while brushing or flossing your teeth, you may have gingivitis. Only your dentist can definitely diagnosis if you have gingivitis or not. brush or floss because of a known family history. “My gums have always bled when I brush, it runs in my family”. Unfortunately, this belief is FALSE, untrue, and there is no science based research to support this claim. Numerous studies have repeatedly concluded the number one reason why a person’s gums bleed is due to the presence of inflammation, either physical, systemic, or a combination of both. Resolve the inflammation and the bleeding will subside. If you notice your gums bleed while eating, brushing, or flossing, you may have gingivitis or periodontal disease. The only way to know for sure is to schedule an appointment with your dentist for a comprehensive periodontal (gum) disease examination. Gingivitis is characterized by the presence of dental plaque and/or hard tartar (also called calculus) accumulations on the surfaces of teeth and/or gum tissues (pictured right). 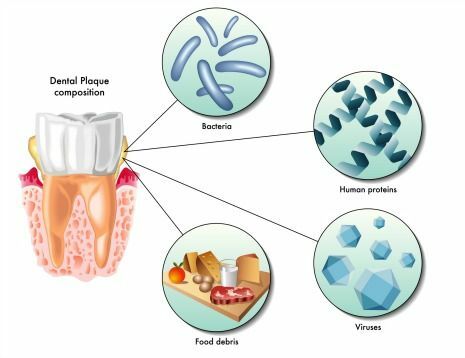 Both dental plaque and calculus contain harmful bacteria toxins that cause adjacent gum tissues and teeth to become inflamed. Inflamed gum tissue will often look puffy, appear red, and bleed easily–most noticeably while brushing or flossing. Gingivitis is reversible, periodontitis is not. Periodontal disease (also called Periodontitis) is a chronic inflammatory disease that affects the gum tissue and bone that support the teeth inside the jawbone. Periodontitis is progressive. As the disease progresses, the bone that holds your teeth in place is lost–causing your teeth to become loose. 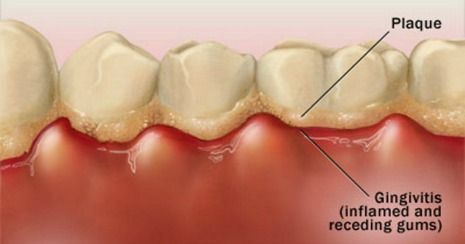 Left untreated, periodontal disease can lead to tooth loss. Gingivitis is caused by inflammation caused by the presence of dental plaque and/or systemic factors. Dental plaque is a harmful, sticky, clear bacterial film that continuously forms on the surfaces of your teeth, tongue, and gums. In the morning, when you arise and your teeth have that “fuzzy” feeling on them–that’s dental plaque. Ineffective and/or poor daily oral hygiene practices will increase the amount of dental plaque on the outer surfaces of your teeth and gums. 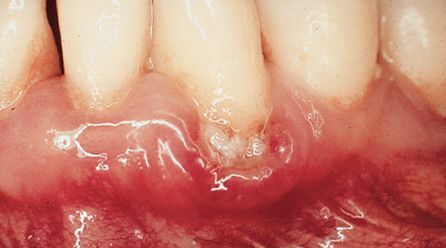 As the amount of plaque increases, you will begin to see a white-yellowish or even brown colored “fuzz” form along your gumline (pictured right). Inflammation in the area will continue to worsen until plaque and calculus are removed. Bacterial dental plaque feed off left behind food particles (containing carbohydrates) on the surfaces of your teeth and gums–especially between teeth. Plaque will continue to grow and multiply until removed. Dental plaque is soft and loosely attached to the surfaces of teeth and gums and can be easily removed with effective tooth brushing and dental flossing. Left undisturbed, dental plaque will harden and mineralize into a hard substance commonly referred to as dental calculus or hard tartar. Dental calculus is mineralized dental plaque and requires a professional teeth cleaning appointment at your dentist to remove. 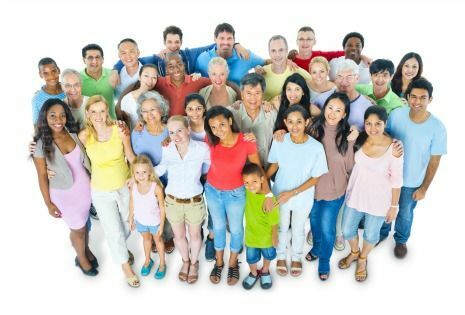 Kids, adults, and seniors can get gingivitis. The great news is that gingivitis is not permanent. By improving the effectiveness of your daily brushing and flossing, you can reverse gingivitis. The American Dental Association recommends tooth brushing for two minutes, after meals and flossing once daily. Be sure to also brush your tongue and cheeks too! Your tongue harbors bacteria that can lead to bad breath, halitosis. How to know if you have gingivitis? Most everybody has or will experience gingivitis in their lifetime. Any bacterial plaque that is missed during daily brushing and flossing can cause nearby gums to become inflamed, red, puffy, and to bleed easily. Listed below are the most common signs or indicators that you may have gingivitis. If you notice any blood on your toothbrush, floss, or when spitting or rinsing your mouth–you may have gingivitis. The American Dental Association recommends that everyone have their teeth examined by a dentist and professionally cleaned every six months. During your appointment, your dentist will examine your teeth and gums for tooth decay, oral cancer, and gum (periodontal) disease. Call Dentistry for the Entire Family at (763) 586-9988 to schedule or request an appointment. Healthy gum tissue does not bleed. 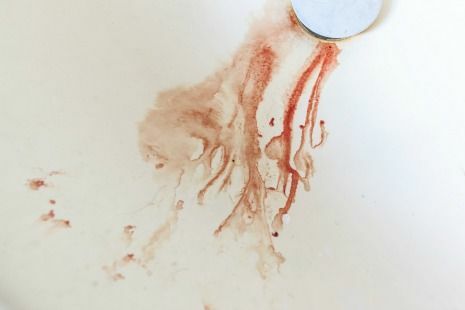 If you see blood in the sink during routine tooth-brushing and/or while flossing, you may have gingivitis. Gums appear red in color. Healthy gums appear light pink-coral. Gums appear swollen or puffy and may have a “smooth plastic” sheen. Healthy tissue has texture to help repel food particles and does not bleed when touched or during tooth-brushing or flossing. Bad breath is emitted when your mouth has a high number of fermented bacteria present. If you notice or experience any signs and/or symptoms of gingivitis, call Dentistry for the Family at (763) 586-9988 to schedule a professional teeth cleaning and examination appointment. Gingivitis is common and is reversible. Listed below are several factors that can increase your risk of gingivitis. Gingivitis left untreated can progress and can lead to periodontitis and eventual tooth loss. 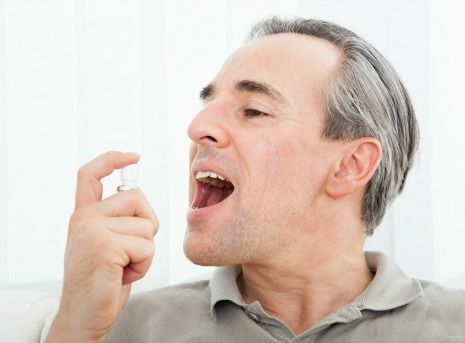 Medications whose side effects include dry mouth and/or gingival hyperplasia–medical term that means enlarged gums. Gingivitis is reversible with effective home care practices, eating a healthy, low-sugar diet, and having your teeth examined and professionally cleaned every six months at your dentist. Daily oral hygiene care and eating a well-balanced diet, low in sugar. Be sure to change your toothbrush every three months and every time following an illness. Consider switching to an electric toothbrush. There has been a significant amount of research to show how effective they are at removing plaque in hard to reach areas. Consider purchasing a waterpik to help clean more effectively between teeth, around braces, and under a dental bridge. Replace your mouth wash with an antibacterial mouth-rinse. Mouthwash like Scope freshen breath. An antibacterial mouth-rinse such as Crest Pro-Health, Colgate Total, or Listerine kill a wide range of bacteria and freshen your breath. Visit your dentist for a professional teeth examination and teeth cleaning every six months or as recommended by your dentist. If you have crooked or crowded teeth, straightening your teeth will help improve the appearance of your smile, how your teeth function, and will reduce inflammation. 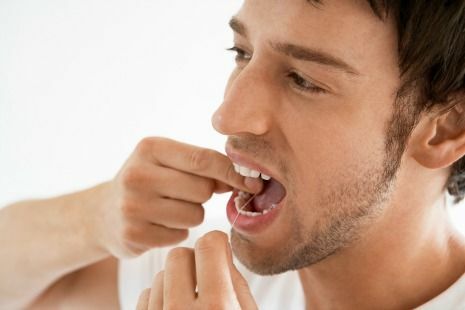 There are a variety of orthodontic options available including Invisalign. 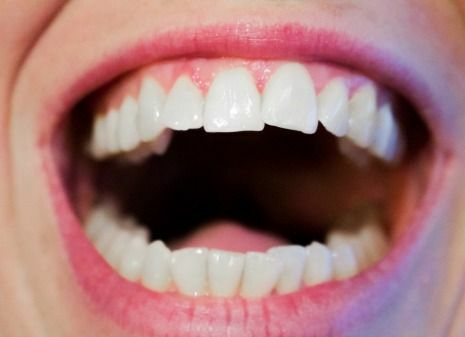 If your dentist suspects that you may clench and/or grind your teeth, (known as Bruxism) while sleeping, your dentist may recommend to fabricate a custom night guard for you to wear while sleeping to help reduce inflammation caused from teeth grinding or clenching. Dentistry for the Entire Family offers appointments when it’s convenient for you and your family. Call (763) 586-9988 to schedule or click to request an appointment today!